Where – NYU English Dept., 244 Greene St.—room will be posted. Run-Time – 20 minutes. 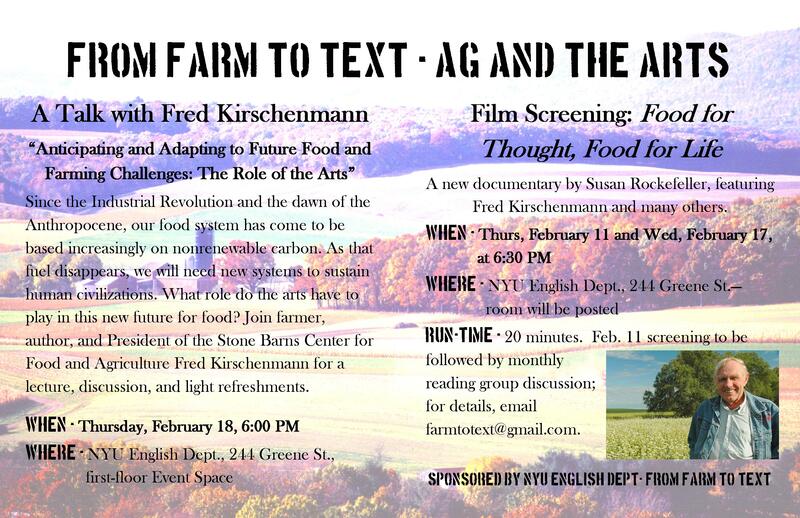 Feb. 11 screening to be followed by monthly reading group discussion; for details, email farmtotext@gmail.com.